The use of a confidential informant is common among law enforcement investigations particularly in drug selling investigations. Most informants have personal knowledge of actual drug sales because they either purchased narcotics directly from the seller or personally observed a drug sales transaction. Because a confidential informant may be useful in subsequent police investigations, or perhaps the informant is in fear for their safety if their identity is revealed, police officers often do not disclose the informant’s identity. However, if certain conditions are met by the defense upon proper motion (i.e., motion to reveal the identity of the confidential informant) then the court will order disclosure of the identity and current whereabouts of the informant. The burden on the defense in persuading the court to reveal the identity of the confidential informant is easier said than done. In order to do so, the defense must show that the confidential informant is “material to guilt or innocence” in the case. In other words, the defendant need only show that the informant was “in a position to perceive ‘…either the commission or the antecedents of the alleged crime.’” And the defense is not required to show that the informant’s testimony would be favorable to the defendant or even what the informant would testify to. Thus, if the informant has firsthand knowledge of the crime in which the defendant is charged, then the court may deem the informant material mandating the prosecution to turn over the informant’s identity to the defense. If the prosecutor chooses not to turn over the informant’s identity even after court order, the judge will then dismiss the case. There are a number of reasons why the defense would need the informant’s identity. One reason is that police officers must represent that the informant is a “reliable and credible” person when utilizing their information to gain a search warrant from a judge. Once the prosecution turns over the informant’s identity, the defense will conduct their investigation on the informant to determine whether they have a history of lying or exaggerating circumstances. If so, then the validity of the search warrant is then called into question as police officers “should have been aware” that the informant is not a trustworthy source. 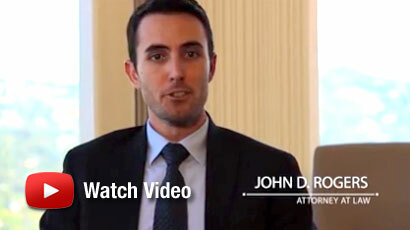 For more information, contact Los Angeles Criminal Defense Attorney John Rogers at the Law Offices of John D. Rogers. 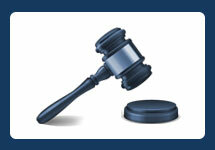 Call 877-888-9820 for a free confidential consultation concerning your rights and defenses. What is the Punishment for California HS 11351?